Hiring: Senior Dev - Developer Experience Team - Come Work With Me! It has been an amazing journey through almost all of the Microsoft divisions. I love being a Dev Manager, but I also love being a well rounded engineer who is deeply connected with our customers. While I was Dev Manager of Power BI Embedded, I got to witness some of the work that the Developer Experience team does and knew right away that it was what I wanted to do for the next phase of my career. I’ve been in this role for 6 months, which is long enough for me to know that I want to stay in this role for as long as they’ll have me. It truly is a dream job for me. It’s the perfect mix of coding, problem solving, community engagement and customer interaction. We’re looking for a Senior SDE to focus on microservices, which will involve services and technologies like Azure Functions, Service Fabric, Kubernetes, DC/OS and the serverless space in general. 1. You are an expert in a particular technology, in this role’s case: microservices. My focus is IoT and Data Visualization, which means I focus on Azure IoT and Power BI Custom Visuals and Power BI Embedded. By being an expert, that means you are called upon by customers, employees and the product teams when they need expert opinions and contributions. You are brought into customer hackfests as the domain expert. Once you become an expert, you will be asked to speak at events or do webcasts for that technology. It’s not something you need to chase after. If you are doing your job right, the folks will ask you to present and share your knowledge. As an expert, you will help drive meaningful change to the product team based on customer feedback. 2. You own communicating customer feedback from Developer Experience engagements directly to the product team. We have a formal process for logging feedback from customers and then present that feedback to the product team on a regular basis. The high-pri issues are escalated up to our CEO on a regular basis. You are responsible for helping the product team establish a prioritization for that feedback. 3. You will develop stopgap solutions for any holes that are found in the product. For example, IoT Hub does not currently support decompression on the backend, so I helped develop a sample that shows customers how to use the Field Gateway to compress messages and then Azure Functions to decompress the messages and forward them to another Event Hub. You will then push that stopgap to GitHub for the customer and the general public to consume. In addition to building a stopgap, you will work with the product team to help get that feature implemented into the product. 4. You will represent your technology in cross-team technical working groups. You will update senior leaders on the lay of the land in that technical area and report on product feedback and related hackfests. You will also help coordinate regular meetings and help up-skill many folks across the Developer Experience team. 5. You will develop workshops and code used to train internal and external folks, such as Technical Evangelists and MVPs. For example, our team just hosted an IoT Workshop for MVPs at the MVP Summit. 6. You will travel to customer sites around the world to help them implement prototypes to jump-start their development efforts. Travel isn’t required, but I’ve found that once I got into this role and travelled a few times it is now something I love doing. You should be open to the possibility of travel. 7. You will need to be an excellent communicator as you will be discussing technology with everyone from Devs all the way to CEOs. 8. This is a very self-directed role. We’re a small team of developers that are very self-directed. You have to be comfortable figuring out what you should work on. You’ll have a team to lean on when you need to, but no one is going to tell you exactly what to do. You, as the expert, need to figure out what is important for that domain and do it. 9. You will share all of this knowledge via your blog or official product documentation, so you must be able to write clear and concise technical docs and it would help if you enjoyed doing that. 10. Relocation: You always ask…It helps to be here in Redmond, but not required. We’ll take on a case-by-case basis. Try to convince us if you absolutely cannot relocate. This role is right for you if you want to drive meaningful change into Microsoft products based on real-world customer engagements. 1. Send your resume to me: Email Jon. Include a link to your blog and a short bio. I look forward to seeing your resumes. Ever wanted to work with the latest devices and services technologies and partner with the world’s top developers? Our partners are building amazing applications and we are looking for a software engineer with strong developer skills to join the DX Technical Team with the objective to drive adoption and development of industry leading applications and services across devices and work to provide feedback to engineering on adjustments to our products. The candidate will be passionate about building and integrating microservices applications in the cloud. They will demonstrate deep technical knowledge and development expertise necessary to build these leading-edge applications using cloud services and technologies. The candidate will have the technical expertise and problem solving skills to build strong, influential relationships with partners by helping them solve their most complex technical problems and build strong relationships with engineering. As part of the role, the candidate will need to work closely with other engineering groups, provide partner feedback, and influence the roadmap for future product releases. The candidate will also engage with partners to chart their applications’ architectural direction and develop the resulting solutions. Based on their deep expertise developing this software, the candidate will present at top industry events. Develop commercially available microservices solutions in Azure. 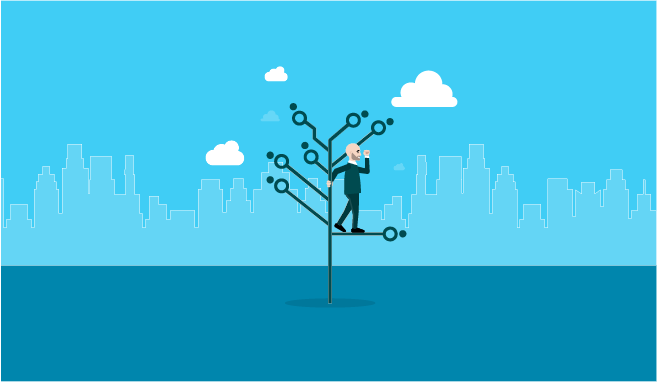 Act as a technical subject matter expertise for Azure technologies to develop solutions and other technical content to support developer events, architecture design sessions, and resolve issues. Provide subject matter expertise and leadership to Microsoft teams worldwide. Work closely with Microsoft teams to influence the future product roadmap. Develop and drive new ways of thinking across groups within the division to improve quality, engineering productivity, and responsiveness to feedback and changing priorities. Demonstrated deep technical developer knowledge in microservices solutions. An understanding of cloud computing technologies and emerging trends. Broad functional knowledge base to solve complex customer problems. A sense of commitment to end-to-end product or service quality, completeness and the resulting user experience for the life of products and services. Strong knowledge of application development practices and a track record of working closely with large development team.